I'm in the market for a new TV and was looking at 32" Full HD below £250 and came across this. Decent customer reviews. "This item is available to order however it will not be despatched until 11 Dec 2012"
Wonder what's picture quality is like ?? Reviews saying it's very good. I was looking at one of these instore last week at Asda with Monsters Inc on blu ray playing and have to say that it looked stunning. I bought one, and think it is absolutely superb. Very bright screen and brilliant picture quality. It has two USB ports which you can use to listen to music or watch videos on a USB stick as well. Well recommended. My only gripe is that I can't get it to work with my TiVo remote. I bought one. Its a superb telly well recommended. Picture looks just as good as my in-laws Sony Bravia. Bright and crisp. I first noticed it when I saw Kylie's arm hairs during the Royal Variety Performance. The TV has a special 'Game' setting that makes PS3 look particularly stunning. It has two USB ports you can put a memory stick in and view pictures, vids and videos on the screen as well! My only gripe is that, as yet, I can't get it to work with my TiVo remote. Pity they don't do a 32 inch full hd set ?! Can't see it on Asda website ? Bit of a fat bezel but great price for the spec. seems a great price is the freeview normal or HD Freeview? also is it 50hz or a 100hz .? Wish they did a 32 inch set with freeview hd ! 1. What is off-angle viewing like? i.e. if you move to the side of the TV do the blacks start getting brighter and generally the contrast goes to hell? or does the image quality remain approximately the same? 2. Was there a manual, and if there was does it mention the AC power draw when switched on? The reason I ask is because I'm thinking of buying one and building a coffee table around it - TV horizontal with a tempered tinted glass top. I heard that when you turn on this tv you have to shake it and wait a bit for the picture to show. I heard that when you turn on this tv you have to shake it and wait a bit … I heard that when you turn on this tv you have to shake it and wait a bit for the picture to show. ‌ Very good - blowing on it helps a little too. Funny thing is - the frame/bezel is the same width at the top and sides but it's wider at the bottom. I bought this a couple of weeks ago from Asda in Basildon and I have to say i am very impressed generally, Superb picture quality. One thing to bear in mind is that the sound is a bit weak compared to my previous tv (Sony). I went out and bought a cheap Logitech 2.1 system to add some oomph to it but some people may not feel the need and may be happy enough with it out of the box. Parents bought one the other day after their samsung died, RIP. I see it every week for about 3-4 months. Don't expect too much for that price. It's just tv . Nice to see Polaroid isnt dead yet. Even if they are just buying some TV and sticking their name on it. Any good as a pc monitor? Can anyone state the full size including stand...Any good as a pc … Can anyone state the full size including stand...Any good as a pc monitor?Thanks in advance. I'm not sure - I'd advise against it to be honest - TVs tend to be brighter and have a lower gamma than monitors - your eyes would get tired quickly and subtle shades wouldn't be discernible. It would be fine to do presentations with viewers at a distance of >2 meters, but to sit in front of it at a distance of one meter for a whole day would hurt you I think. Try it with an LCD TV and see how it goes. thnx. I am currently using a Polaroid 24" lcd for upto 6 hrs a day. I do a lot of graphics, photos and art slide shows. I do reading as well. Have not had any issues so far. Thought it would be nicer to do it on a larger screen. To be totally honest my view is that you have one pair of eyes and screens, if looked after properly, last many many years and they should be seen as an investment. I currently have two NEC MultiSync 2090s which I bought some ten years ago (IIRC they RRPed for around 600GBP each back then but I paid 150-200GBP each on EBay). They've been great and they're still going strong but in about six months I'll be looking for more screen real-estate - so I'll probably add an NEC PA-271W for about 850GBP. I wish I could stretch it to a PA-301W, but that's waay too expensive. I do some graphics/photos, but mostly coding, and I spend 12 hours a day in front of the screens sometimes, so I'd prefer to get a weaker processor and a better screen quite frankly. I only have one pair of eyes, and they're still healthy, and I want to keep them that way. 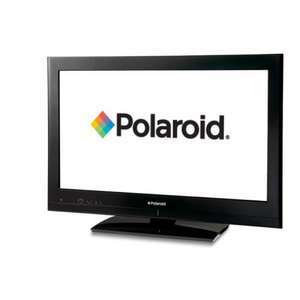 PS you say Polaroid 24" LCD - but is that a monitor or a TV (i.e. does it include a tuner?) ? From what I've seen personally of LCD TVs they are calibrated differently as I mentioned earlier (e.g. gamma). I bought one, and think it is absolutely superb. Very bright screen and … I bought one, and think it is absolutely superb. Very bright screen and brilliant picture quality. It has two USB ports which you can use to listen to music or watch videos on a USB stick as well. Well recommended. My only gripe is that I can't get it to work with my TiVo remote.